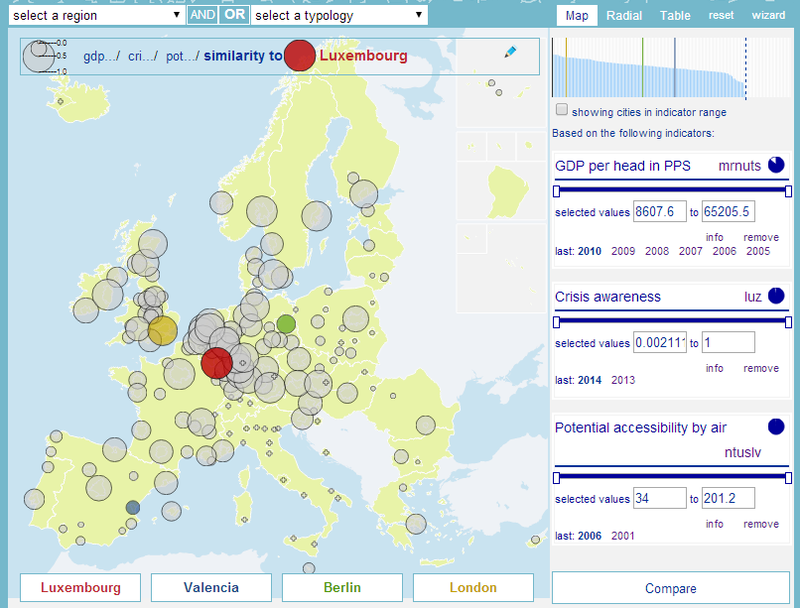 CityBench web tool provides a quick-scan geographical exploration of multidimensional similarity across European cities. With this dynamic method, the user may easily discover city peers that could face similar risks and opportunities and consequently develop knowledge networks and share best practices. This web tool is destined to provide economic/financing institutions’, local governments’ and policy makers’ in Europe and beyond decision making support.